Federal budget season is well underway in Washington, and the White House’s latest talking point is that the deficit is shrinking. 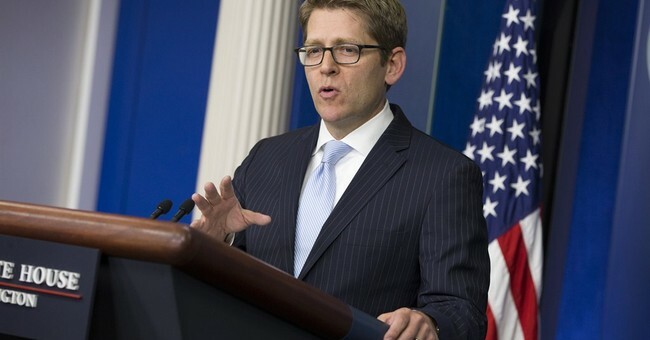 “[The] deficit has been cut in half at a record pace, or been cut at a record pace,“ Press Secretary Jay Carney commented at a recent press briefing. Looking past the politically-charged posturing coming from the White House, we see that “shrinking deficits” is smoke and mirrors. Not to be confused with the national debt, the deficit is the difference between the amount that the government taxes in as revenue and the amount that it spends in a given year. There are only two ways to cut the deficit: raise revenue or cut spending. Over the course of the Obama administration, American families have seen too much of the former and too little of the latter. President Obama and his allies in Congress have raised taxes consistently and enormously. According to the CBO, the current level of tax revenue is above the historical average and will reach $3 trillion for the first time ever in 2014. As a percentage of GDP, revenues are expected to rise in 2014 to above the average for the past 40 years, and continue to rise through 2015. While claiming a "shrinking deficit," the White House fails to mention the fact that just over a year ago the President signed $620 billion of tax hikes into law. At the start of 2013, workers saw a payroll tax hike, which hits low- and middle-income earners particularly hard. Americans saw a number of new taxes under the health care law beginning in 2013, such as a 2.3-percent tax on medical devices, among many others. While White House officials claim that they has cut the deficit in half “at a record pace,” they neglect to mention this only looks like an improvement when compared to their past trillion-dollar deficits. If it weren’t for President Obama’s trillion dollar deficits in previous years, then $500 billion would have represented the highest deficit in history. Even this “small” deficit is larger than any of the deficits posted during any year of the Bush administration – which itself wasn’t exactly known for its frugality. Even Obama’s current “smaller” deficits are whopping, even when compared to numbers posted just a few years ago by a president who was actively engaged in two wars and had a massively expansive domestic spending agenda that included the addition of two new entitlement programs. The White House’s claim is also misleadingly short-sighted. The deficit may be “relatively” small right now, but it will skyrocket in the coming years. Recent budget projections from the Congressional Budget Office (CBO) show that the deficit will increase from $469 billion in 2015 to more than $1 trillion in 2022. The CBO also recently warned that deficits will start rising again after next year as federal spending will grow at a faster rate than the economy. These claims of shrinking deficits are meant to distract from our country’s long-term fiscal problems. Despite his past promises to reform entitlement spending, the President’s failure to do so means that federal spending on major health care programs and social security will almost double over the next decade to over a trillion dollars annually. The President touts smaller deficits today, but under his proposed spending agenda the nation’s budget will never be balanced again and the federal debt will continue to rise higher and higher. Looking past the rhetoric, the real issue remains Washington’s addiction to overspending. A $500 billion deficit shouldn’t represent a new standard by which we measure fiscal success. President Obama and his advisors should raise their standards instead of cooking the books, patting themselves on the back and calling for more spending and higher taxes.